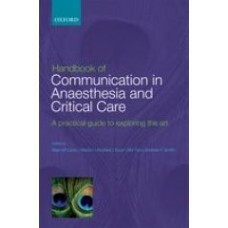 Autor: Cyna, Allan M.; Andrew, Marion J.; Smith, Andrew F.
This book provides anaesthetists, intensivists and other critical care staff with a comprehensive resource that offers ways of improving communication in everyday clinical practice, and provides practical communication tools that can be used in difficult or unfamiliar circumstances. It demonstrates how communication can be structured to improve patient care and safety with numerous practical examples and vignettes illustrating how the concepts discussed can be integrated into clinical practice, and presents ideas in a way that enhances clinical interactions with patients and colleagues and facilitate the teaching of trainees. 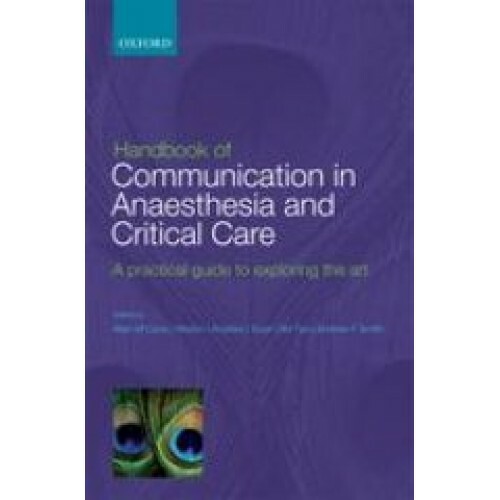 Edited by practising anaesthetists with particular expertise in teaching communication, and with contributions from expert clinicians based in North America, Europe and Australasia, this book will stimulate and complement the development of comprehensive resources for communication skills teaching in anaesthesia and other related professional groups. Readership: This book will appeal to all anaesthetists and medical practitioners involved in perioperative care. It will particularly appeal to anaesthesia trainees but will also prove useful to consultant anaesthetists. It will also be of interest to other paramedical, nursing, and midwifery professional groups, and professional groups (surgeons, physicians, midwives, paramedics, anaesthetic nurses and clinical psychologists) with whom anaesthetists work. This book will also be a comprehensive resource for communication skills teaching within postgraduate training in anaesthesia.